For the past month I’ve been testing out, Hemp Seed Milk. If you’ve been following me for a while, then you’re aware of my love for testing new food items because I can get bored easily with the same old same old. Plus I’m always on the hunt for a healthy alternative with plenty of calories and great taste. Well I think I found my staple milk alternative. Hemp Seed Milk. Before trying out this milk I’ve been adding Hemp Seeds to my smoothie and salad and I love the taste. It has a nutty taste that gives a subtle add of flavor to any dish or drink. Once I fell in love with Hemp Seeds, I was curious to see how the milk tastes. When I researched the Nutritional Facts I was amazed at how high the calories are for just one cup. I thought to myself, “I wonder if this is the equivalent to whole milk?” After digging a little deeper, I saw that it is and depending on the flavor the calories are much higher than whole milk. Who knew?!! Why didn’t anyone tell me? Comparing taste and texture? Hemp Seed Milk is similar to Almond Milk in texture and taste to be honest. It’s not the exact same of course, but it reminds me of drinking Almond Milk. Whole Milk: Calories – 146 per cup. I expected to see a higher level of Polyunsaturated fat, Sugar, Calcium, and Carbs. Believe it or not, whole milk has a higher level of “good fat” aka Monounsaturated fat compared to Hemp Seed Milk. Whole milk is in the lead for fats, protein and has a lower amount of sodium compared to the alternatives above. Whole milk also has double the amount of potassium. I’m not at all surprised by the amount of cholesterol in whole milk. This is why having an alternative is good, you don’t want to gain weight and put a strain on your heart with dairy consumption. Unfortunately whole milk lacks nutrients except potassium. Not sure why they didn’t list Vitamin D on the label though. Hemp Seed Milk (original): Calories – 140 per cup. Not too far behind on calories compared to whole milk. Has more sugar, sodium and polyunsaturated fat than whole milk which I didn’t expect. I also didn’t expect Hemp Seed Milk to have more calcium (almost double) than whole milk. All my life they told us whole milk had the highest amount of calcium. Hemp Seed Milk has no cholesterol and double the amount of carbs. In addition to plenty of calcium, you get a nice dose of Iron, Vitamin A, Vitamin B12, Vitamin D, Vitamin E, Magnesium, Riboflavin, and Phosphorus. Hemp Seed Milk (vanilla): Calories – 160 per cup. Clearly the leader in calories. This particular milk has about the same as the original version just a tad bit more of everything including the bad stuff like sodium and sugar. So be careful and switch between the original version just to make sure you keep your sugar and sodium levels in check. Overall I’m comfortable with my choice in using Hemp Seed milk as my whole milk replacement. My body won’t allow me to drink whole milk often (sinus irritation) so I had to find another option. Although there are good and bad things about all the options mentioned above, I love how Hemp Seed milk provides a little extra in the nutrient department and no cholesterol. I feel it’s a pretty good balance. The only downside is that I usually find Hemp Seed milk at Whole Foods versus whole milk being accessible at all grocery stores. So for some this milk may not be nearby but I believe you can make the milk at your home if you’re into DIY. I’ll keep you in the loop. 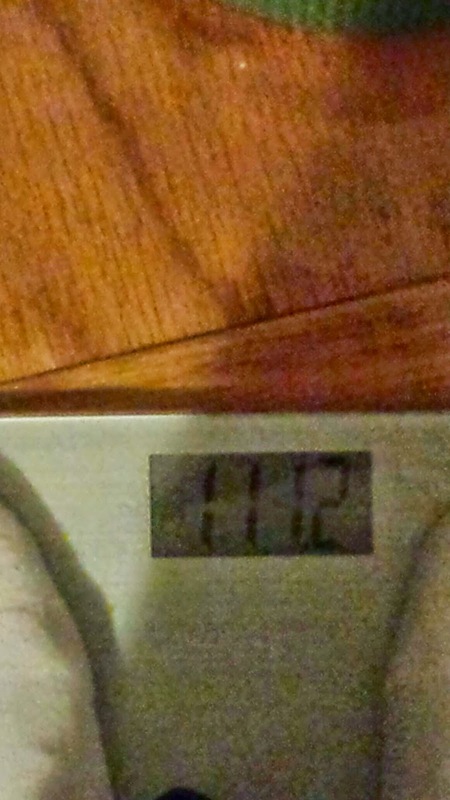 I’m officially over 110lbs, FINALLY. I gained without trying hard which is always a plus. I saw family this past weekend and they just kept talking about my shape including my hips and arms. So I’m doing something right.